I am continuing my search for the perfect charcuterie board – and have had many top contenders so far. But while in Toronto (home of Canadian bacon) I thought I would try out as many charcuterie purveyors I could fit in. One of the coolest places in Toronto is the St. Lawrence Market – a bustling marketplace that has just about everything you could ever want. And if you want great charcuterie you have to stop by a St. Lawrence Market institution, Scheffler’s Deli & Cheese. 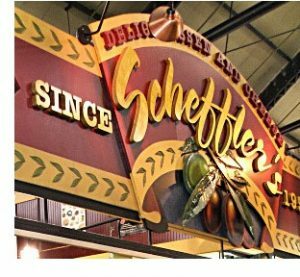 Scheffler’s Deli & Cheese is located in Upper Level 7 at St. Lawrence Market in the great city of Toronto, Ontario. Meanwhile, if you prefer your charcuterie as part of an awesome dining experience, you must try Côte de Bœuf – with locally sourced meats, these fine folks have a great menu and the most inspired charcuterie in the city. 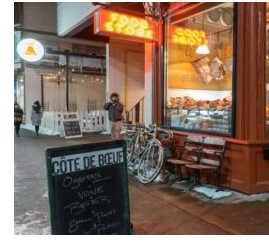 Côte de Bœuf is located a 130 Ossington Avenue in the great city of Toronto, Ontario. Lost Cowboy is powered by	WordPress 5.0.4 and delivered to you in 0.840 seconds using 45 queries.